I am pleased to invite you to participate in the International Scientific Conference “NEW IDEAS IN EARTH SCIENCES”. 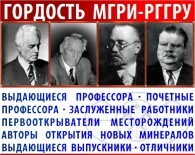 The Conferenceis to be held in Moscow, Russia from April 2-5, 2019. The Conference is held traditionally with the aim of developing new ideas in the Earth sciences, sharing the experience, integration and systematizing theoretical and practical solutions of mining problems, as well as improvement of intellectual culture of students, educators and scientists. The conference is to reflect the best practices in different spheres, including innovative disciplines – space geology, digital technologies of prospecting and exploitation of mineral deposits, digitization of the mineral resources sector economy etc. The XVI Industry Exhibition “Subsurface Resources: Study. Prospecting. 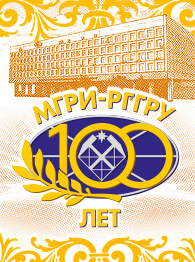 Extraction” will be working in the main hall of the University together with the Conference. On the results of the Conference the best reports will be published in the digital library of scientific publications, “Mining Journal” (Scopus), News of Higher Educational Institutions. Geology and Exploration (ChemicalAbstracts, GeoRef) and others. Please give us your response no later than February 22, 2019 by emailing us at international@mgri-rggru.ru. 1. Geology, Exploration and Solid Mineral Deposits Processing. Minerageny.